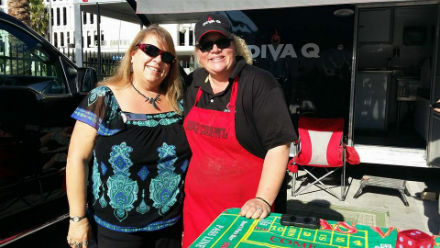 At the time I became a barbeque judge, my goal was just to sample some great ‘Que without having to pay for it! We don’t get paid with money, but damn if getting to eat some great ‘Que wasn’t payment enough. My passion for BBQ has only grown since getting my certification in February of 2012. 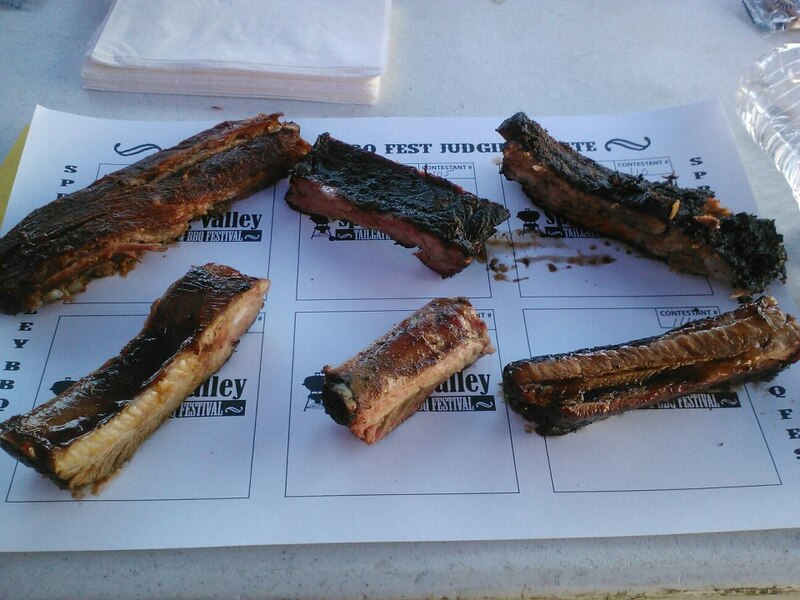 I could go anywhere in the country and judge a Kansas City Barbeque Society sanctioned competition. I think the class might cost a bit more these days, but it’s certainly worth it. You still have to apply to judge at a competition and that doesn’t mean you’re automatically in. They do want a certain amount of veterans and newbies at each comp to level the judging field. The really big national comps are harder to get into. San Diego doesn’t have many comps at all. There are just a handful around here. You have to start heading north if you want to judge more instate comps or head out of state. Some people even plan their vacations around a weekend competition to make it part of their itinerary. I was actually surprised about how serious everyone seemed to be once we got down to judging. When you first arrive at a comp, it’s like a party, with everyone getting to know each other. But when you learn how hard the teams work to perfect their cook, you gain a whole different kind of respect for them, their efforts and the time and money they put into their ‘hobby.” Some members and heads of teams take the judge cert classes too, which is a very smart thing to do if you want to know what the judges are looking for. I’m not a cook myself. So far, I just judge. But I’m sure learning everything I can about what it takes to make some great ‘Que and do plan to take a BBQ cooking class eventually. As I may have mentioned elsewhere on this blog, it’s a requirement that I will have to cook all night with a team at a competition to earn my Master’s Judging Certification before I hit judging 30 competitions. They do start their cooks in the middle of the night for a competition, as smoking meats does take many hours. They have to be ready to start turning in their first boxes by noon on Saturday. At a comp, we judge in four categories. Chicken (usually thighs, but they can use other cuts and even Cornish game hens are allowed). 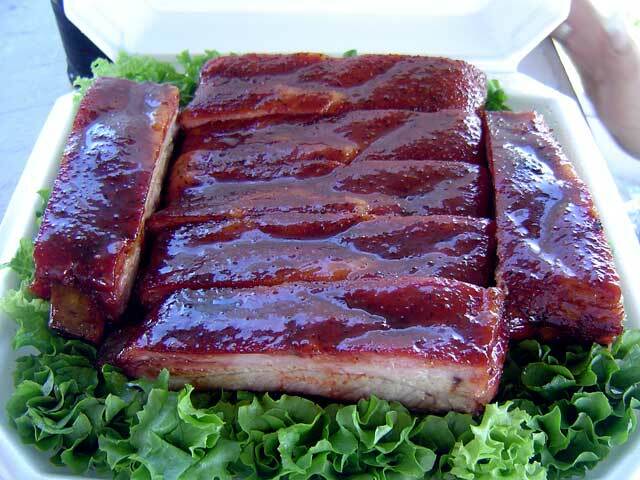 Pork (usually pulled and sometimes sliced in little round sections called medallions) Ribs (they must be pork and they are my favorite category.) Most of the time they are pretty mind blowingly good. 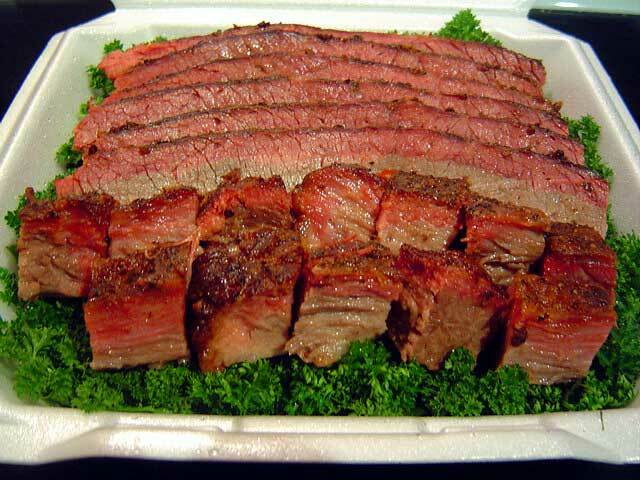 Final category is Brisket (my least favorite only because it’s so difficult to cook correctly). If we’re lucky (as if eating all that isn’t lucky enough!) sometimes there is a dessert category too. By the way, six entries in four categories does end up to be 24 samples on our plates during a comp. You learn to only take a bite or two, and even that adds up to about 2 lbs of meat! Most of the time we are allowed to take home what we don’t eat and there’s nothing wrong with that. I’ve brought it home to share with neighbors who have no qualms about reheating and eating ‘Que that has a bite or two taken out of it! They know this is special ‘Que! At all comps judging is double blind. 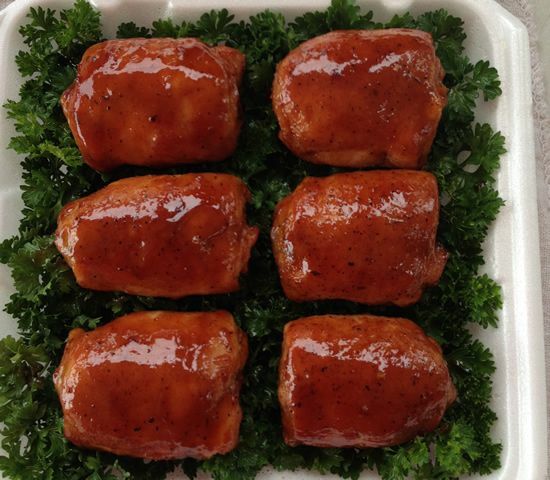 We don’t know whose teams we’re tasting and they have no idea who is judging their meats. We are not allowed to fraternize with any teams the day of the comp before judging takes place. If we do and we’re caught, we’re going to be asked to leave. And we’re definitely not allowed to drink any alcoholic beverages before a comp either. Yes, Que and brews do go together, but not on judging day. I told ya, it’s a serious endeavor. 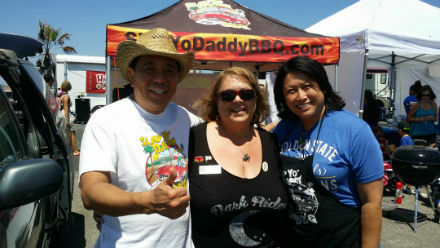 This video is with pitmasters, Harry Soo of Slap ‘Yo Daddy and Donna Fong of Butcher’s Daughter. Between the two of them they have won so many awards. Of course this was done AFTER the judging part was over. A lot of judges also become Table Captains. There are classes for this sometimes too, but mostly you learn this by volunteering to do it at a comp. This requires going to get all the stryrofoam boxes in a category (usually 6 boxes) assigned to your table and put it on a large tray and bring it to the table where 6 judges sit. You are responsible for passing each box around where we first score for appearance and then we’re handed the boxes to take out a sample for our “plate.” We then judge on taste and tenderness with a score of 1 to a 9 (9 being best) as the judging scale. We even have a judge’s oath we say in unison before each comp starts. With our right hand raised, we recite, “I do solemnly swear to objectively and subjectively evaluate each barbeque meat that is presented to my eyes, my nose, my hands and my palate. 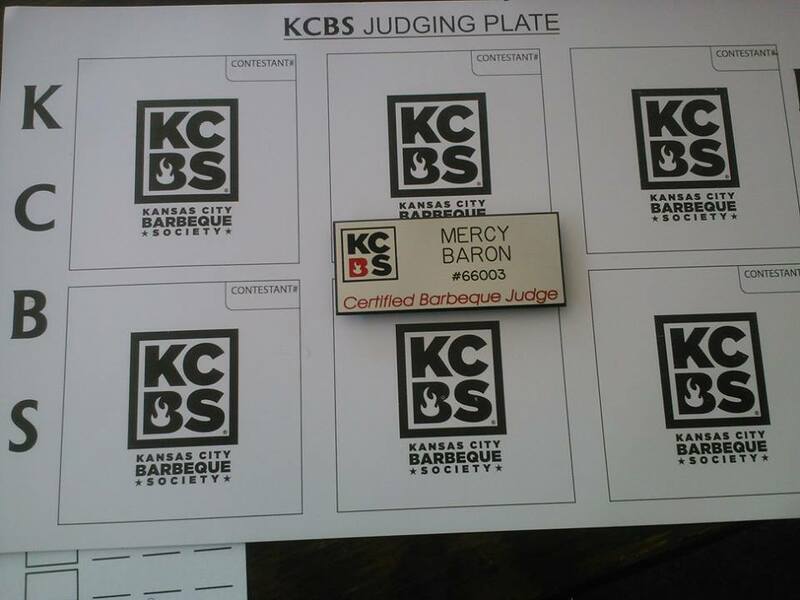 I accept my duty to be an Official KCBS Certified Judge, so that truth, justice, excellence in Barbeque and the American Way of Life may be strengthened and preserved forever.” Ya gotta love that! While each meat category has its own set of criteria, the most common fallacy in BBQ, and the phrase you hear most often relating to ribs is, “fall off the bone.” I know it sounds good, but you are actually marked down for a rib that does this. The meat should pull away easily, but some should be left on the bone. If it does fall off, it’s overcooked. Just like when we do the pull test on a slice of brisket, it should come apart somewhat easily if the tendons in the meat have been smoked long enough to break those down. If it mushes easily at the roof of your mouth when you push it there with your tongue, it’s considered overcooked. Same goes for the pork category. Conversely, in the restaurant industry, they mostly strive for fall off the bone because that’s what the customer wants. One of the most difficult things that has happened to me since I started judging? It has pretty much ruined me for truly enjoying barbequed meats in a lot of restaurants! It has definitely made my judging of these establishments even more critical. It’s rare when a restaurant comes close to competition level. When it does, I’m a happy girl, if not truly surprised. I have also learned to not be too harsh about comparing comp level Q to restaurant level Q. I’m learning to judge each on their own merit. As I branch out to eat at Barbeque places across the country where it’s part of their regional heritage, I’m guessing I’m going to have to change this way of thinking and will gladly do so! 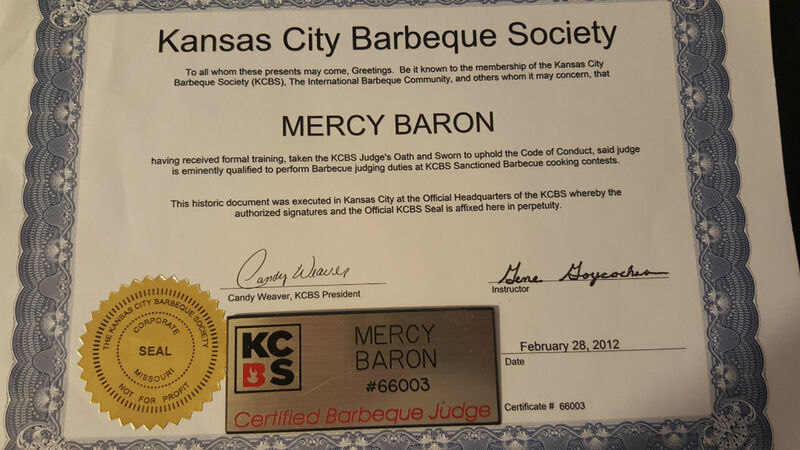 I became a Kansas City Certified BBQ Judge in 2012. 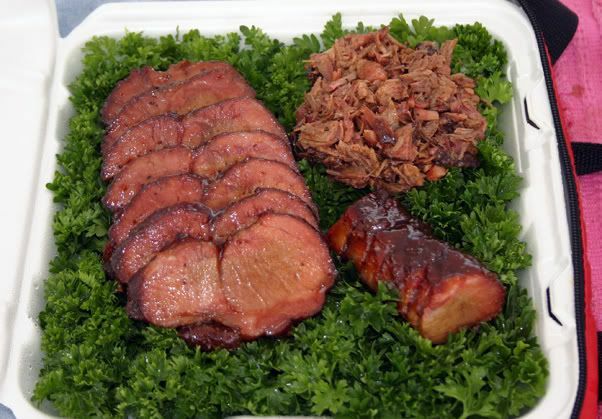 I have since judged many KCBS sanctioned competitions locally and some traveled to. In addition, I’ve judged the……. Harry Soo of Slap ‘Yo Daddy and Donna Fong of Butcher’s Daughter. 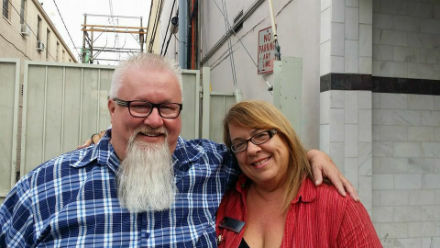 So many comp wins between these two pitmasters.